Nine Faced Rudraksha or Nau Mukhi Rudraksha has nine natural lining on its face. This bead is generally found in oval or round shape. Ketu in Astrology is considered the planet which creates problems in life. Negative Ketu gives poverty, confusion and tendency to take wrong decisions. Positive placement of Ketu in horoscope makes a person spiritual. 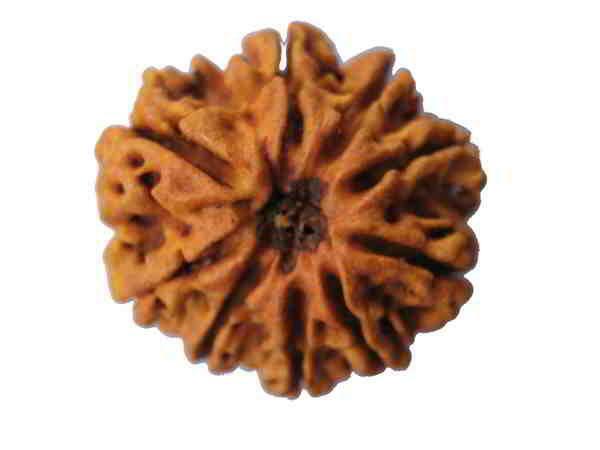 The ruling planet of Nau Mukhi Rudraksha or Nine Faced Rudraksha is Ketu. If Ketu is weak by virtue of placement in the horoscope, this bead helps in removing all the negative effects of the same. The deity of this Rudraksha is Goddess Durga. The blessings of Goddess Durga makes a person fearless. Nine Faced Rudraksha gives peace of mind and removes poverty. The wearer gets the capacity to take right and accurate decisions in his life. The wearer also gets the blessing of Lord Bhairon and makes him courageous. This bead protects a person against various diseases including fever, anger, irritation, skin problems, sense of unknown fear and mysterious diseases etc.